← SLC Conference Schedule Available! The International Association for the Study of Popular Romance (IASPR) is proud to announce the creation of a new essay award in honor and memory of our colleague Conseula Francis. 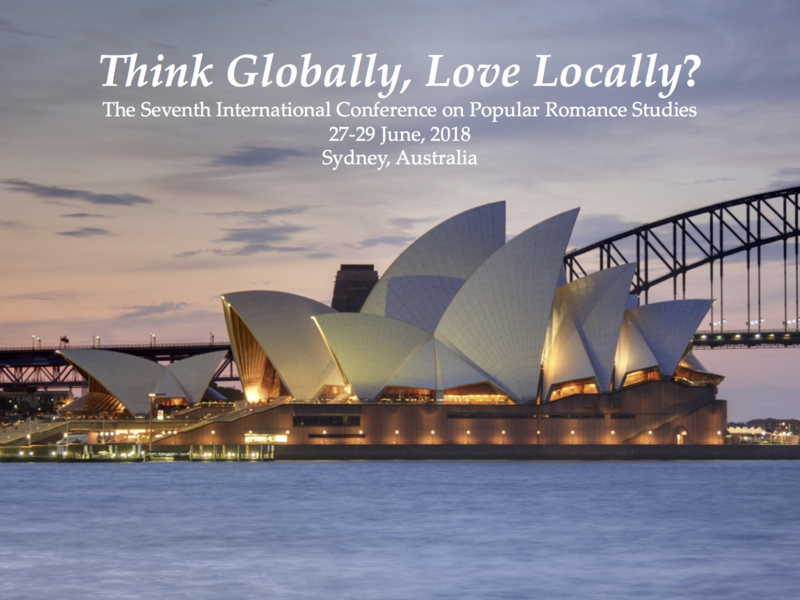 The winning essay will receive a $250 USD cash prize and be published in the peer-reviewed Journal of Popular Romance Studies, pending any needed revision according to the judges’ comments. The Francis Award is for the best unpublished essay on popular romance media and / or the logics, institutions, and social practices of romantic love in global popular culture. Essays may focus on work in any medium (e.g., fiction, film, TV, music, comics, or advice literature) or on topics related to real-world courtship, dating, relationships, and love. Conseula Francis’s work on popular romance fiction focused on African American authors and representations of Black love, and priority for the Francis Award will be given to manuscripts that address the diversity of, and diversities within, popular romance and romantic love culture: e.g., diversity of race, ethnicity, gender, religion, class, sexuality, disability, or age. Associate provost and professor of English and African American Studies at the College of Charleston, Francis was the author of The Critical Reception of James Baldwin: 1963-2010 (2014) and the editor of Conversations with Octavia Butler (2009). In 2010, she was awarded a research grant by the Romance Writers of America for “Uncommon Pleasures: Textual Pleasure and Female Sexual Agency in Contemporary African American Romance and Erotica,” a project focused on the work of Beverly Jenkins and Zane. An essay drawn from this research, “Flipping the Script: Romancing Zane’s Urban Erotica,” was published shortly before her death in Romance Fiction and American Culture: Love as the Practice of Freedom? Francis wrote about Zane for the NEH-funded Popular Romance Project, as well as about romantic representations of Barack and Michelle Obama during the 2012 presidential campaign. The annual deadline for submissions will be December 1, and the winner will be announced in April. All submissions should be sent to Erin Young, Managing Editor of the Journal of Popular Romance Studies, at managing.editor@jprstudies.org. Please put “Francis Award” in your subject line. All submissions must be Microsoft Word documents, with citations in MLA format; in keeping with JPRS publication guidelines we will consider essays of 5000 to ~10,000 words in length. Please remove your name or the name of any co-authors from the submitted manuscript; in your cover-letter email, please provide your contact information (address, phone number, e-mail address) and a 150-200 word abstract of the submission. The judges for the Francis Award will be a mix of established and emerging scholars in the field of Popular Romance Studies, chosen by IASPR. Each year’s winner will be invited to join the panel of judges for the following year.